Whether you're looking for the perfect party dress or professional work attire, check out Apt. 202 Boutique. 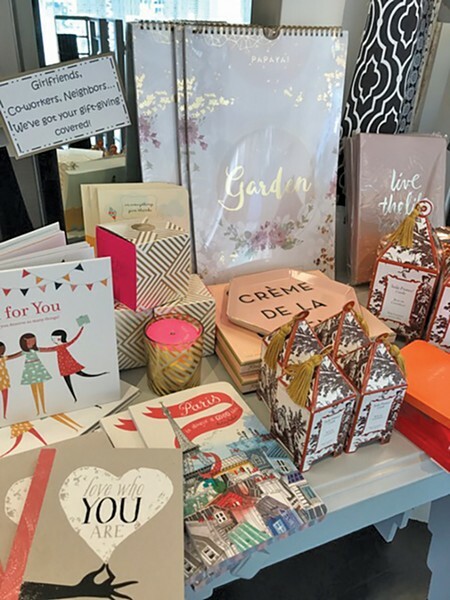 In business for nine years, the contemporary women's shop offers each customer a stylist experience when they walk through the door, without any pressure. "People get intimidated by the word 'stylist,'" owner Ashley Rothwell-Campagna says. "But we have only two employees in the shop, by design. People can find boutiques intimidating, or feel like staff won't talk to them—we are the total opposite. We are just happy to help you get dressed." Rothwell-Campagna is committed to providing every customer with exceptional service. "We can dress you head-to-toe in age-appropriate items," she says. "I love helping people feel a little more confident." The boutique offers a wide array of items from unique designers, including delicate earrings from Oregon-based jeweler Favor, blouses with detailing from Cooper and Ella, shimmery dresses with sequins and lace and butter-soft button-downs by Bella Dahl. They also sell notebooks, candles, calendars and more that would make perfect holiday gifts and stocking stuffers. Rothwell-Campagna takes pride in their stock of merchandise that she describes as "stunningly different." That combination—lovely and hand-picked—is reflected in the boutique's whimsical décor. In addition to racks of clothes, the shop is filled with old chests and suitcases, vases of peacock feathers, an antique grandfather clock and a quote from Sophia Loren on the wall—"Nothing makes a woman more beautiful than the belief that she is beautiful." "I call this place my sanctuary," Rothwell-Campagna says of her business. "It's where I come to be me. I've created a wonderful, loyal clientele that have become like family." The Apt. 202 staffers genuinely value their customers, she adds. "We know people have a lot of options, especially with the holidays and online shopping, so we try to give everyone that personal touch." Additionally, she's committed to giving back to the community. In 2015, the shop picked a different local charity each month to donate a portion of its proceeds to. Rothwell-Campagna also offers the space as an event venue to local nonprofits and charities to host parties and fundraisers. 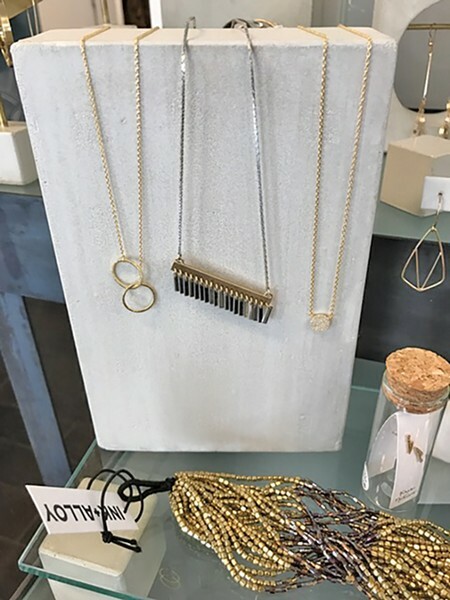 The boutique recently staged an event which gave shoppers a chance to receive a discount on their purchase in exchange for donating jewelry for the Children's Center charity luncheon. "We're a small business and we all need to pitch in and support those around us who don't have quite as much," she says.